While fall brings the beauty of leaves changing colors, it also brings the hassle of having to clean up those leaves after they fall from the trees. During the fall, the weather is notorious for being unpredictable in many areas. This is particularly true in the northern United States where the fall brings a range of hot, cold, sunny, and raining days. Sometimes you get a wide range of weather condition in just one day during this time of year. If you have a lot of leaves to clean up throughout the fall season, you will almost certainly run into a situation where you must pick up wet leaves. Undoubtedly, picking up soggy leaves with an old fashioned rake and bare hands is an unpleasant experience. As an alternative, many people wonder “can you mow wet leaves?” to avoid those cold, wet hands. 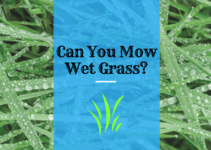 Clogging the Mower: Similar to mowing wet grass, leaves have a tendency to clog the lawn mower blade. This is particularly true when you are dealing with a heavy blanket of leaves covering your lawn. 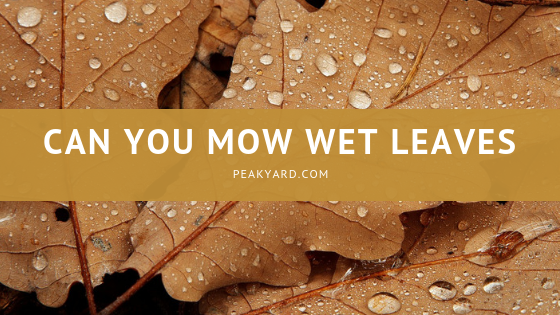 In many cases, mowing wet leaves is a time waster because the mower will continuously struggle as the blade attempts to slice through the soggy mess. In some cases the mower will stale out frequently causing the user to have to restart the mower each time. As you likely expected, this is not good for a lawn mower engine and can cause the blade to dull quickly. Clumping: Wet leaves that are being mulched tend to clump together instead of being chopped into fine clippings. You may need to run over the wet leaves several times with the lawn mower in order to properly mulch them to tiny pieces. 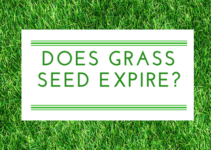 This can be burdensome if you have a large mowing area. Matted Down Leaves: Leaves that are wet stay closer to the ground making them difficult for the lawn mower blade to reach for mulching or bagging. If you are determined to mow matted down wet leaves, you may need to run a rake over them to attempt to bring them to the surface. In some cases you may need to allow the leaves to dry before mowing. Slippery Leaves: Wet leaves are slippery and can create a hazard when mowing. There is a chance of injury from falling. This is especially dangerous around a fast moving mower blade. If you do attempt to mow wet leaves, you should be extremely cautious and stop immediately if the conditions are too slippery. We highly recommend waiting for the leaves to dry out before attempting to mow them. Mow Frequently: Letting your leaves pile up can cause difficulties when you attempt to mulch your leaves (see the clogging bullet-point above). It is best to be proactive and mow before a thick layer of leaves begins to pile on your lawn. Mowing more frequently allows for a thinner layer to be mowed and often less of a hassle. Just Bag them: Sometimes the best course to take is to simply bag your leaves. There are many tools to make the process easier besides a leaf rake. 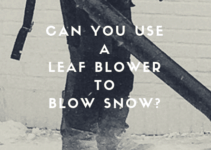 You might want to consider buying leaf scoops, a leaf bag funnel/chute, and a quality leaf blower to help speed up the process.